Restoration of Native woodland on Ancient woodland sites has been growing in importance over the last decade as a mechanism for recovering previously lost or diminished habitat. For those conifer Plantations on Ancient Woodland Sites (PAWS) that are deemed suitable for full or partial restoration, there are many pitfalls to avoid to achieve this goal successfully. One such activity I’ll cover in this post is the extraction. The wrong choice made could seriously reduce the benefits of restoration to a woodland site. It could even make the situation worse than before the restoration, so careful consideration should be made for each site. If new extraction routes are required to get machinery in, and timber out, then this alone could cause serious damage to the existing ecological conditions and/or restrict the restoration development afterwards. The choice of extraction equipment is vital to give the site being restored the best chance to recover, create the right type of ground disturbance and avoid damage through soil compaction. Over the years I have experienced two different types of low impact extraction the first being horse logging and the other with an Iron horse low ground pressure machine. Implemented correctly, both of these extraction types are very good for PAWS restoration. 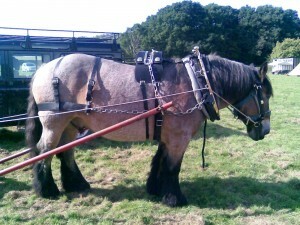 My experiences with horse logging were a few years ago when I volunteered some time to the Working Horse Trust based in Eridge, East Sussex. The Ardenne heavy horses that I worked with at the Trust are beautiful and powerful animals, capable of shifting significant amounts of timber through narrow extraction routes, without damaging the woodland floor. My lack of equine knowledge didn’t worry me as there were experienced and friendly people on hand to help. I seriously considered horse logging as a profession to integrate into my business. However, after weighing up all the pros and cons I decided that horse logging wasn’t the right choice and opted for an Iron horse instead. This has proved extremely valuable to the business and has been impressive in a number of different extraction tasks. Like with a horse’s hoofs, the machines rubber tracks are good at disturbing the top layer to help unlock a sites seedbank. 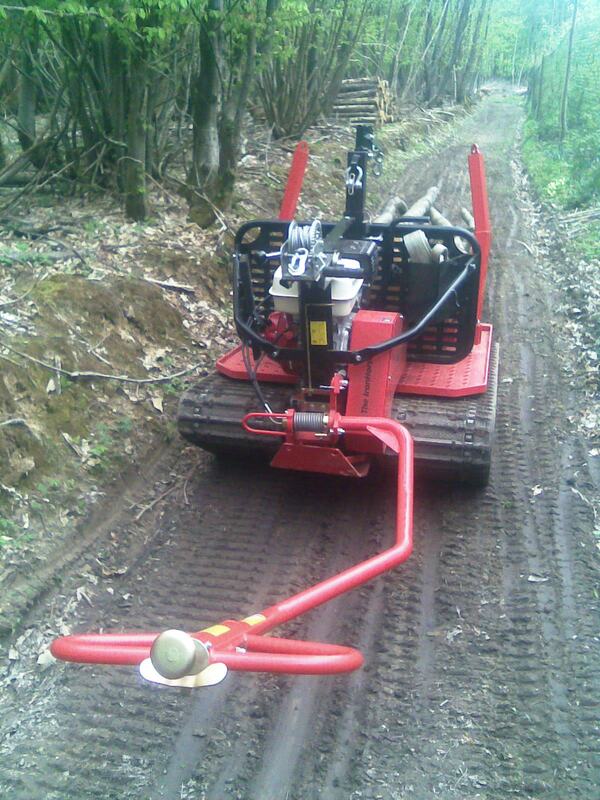 The Iron horse and horse logging extraction methods are slower and more costly than other larger types of extraction equipment, but what price to you put on the damage the alternatives can cause? 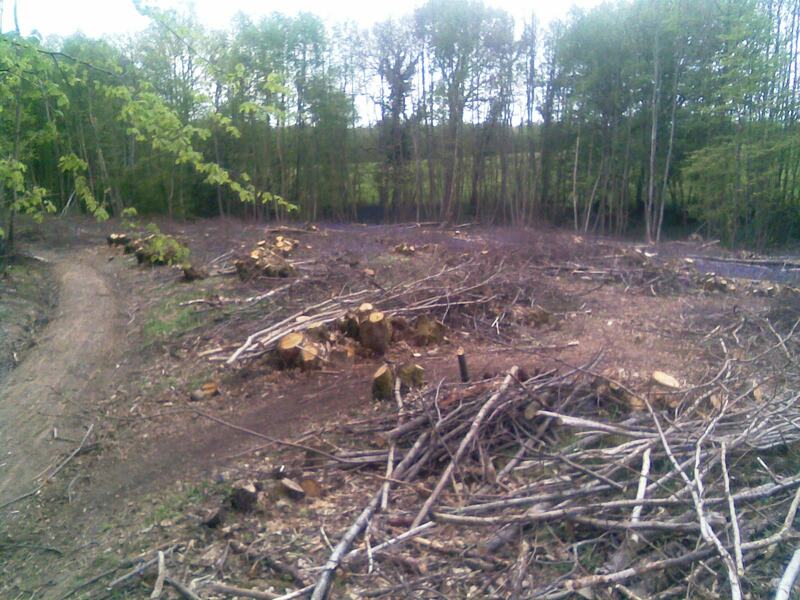 This entry was posted in Ancient Woodland, Ancient Woodland Restoration, Low Impact Extraction, Wildlife Habitats, Woodland Conservation, Woodland Management and tagged extraction, horse logging, iron horse, PAWS on August 21, 2011 by Woodsman.